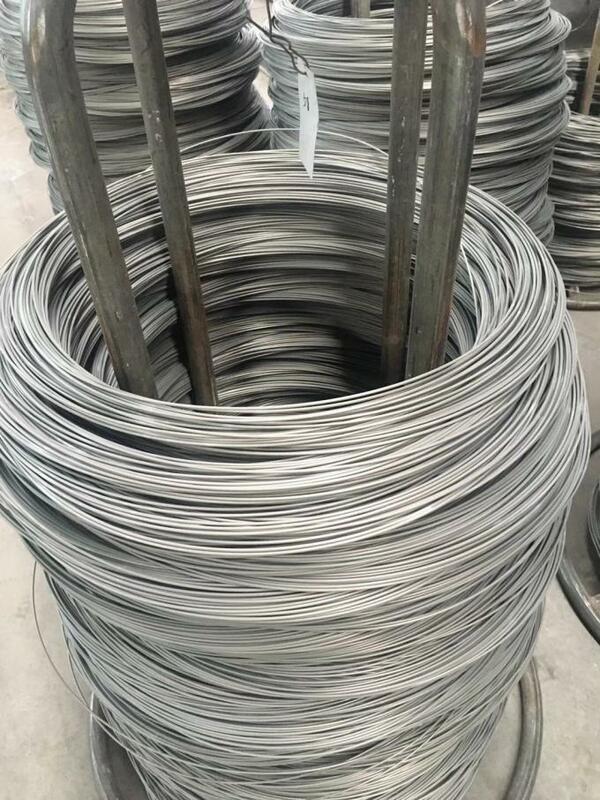 We provide cold drawn stainless steel wire in coil or, round bar, cut lengths, straightened. dia: 0.3 to 16.0mm. Others are available upon request. 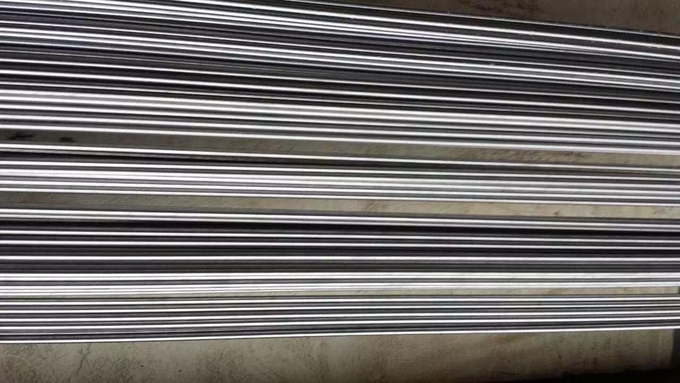 AISI Type 17-7 is a precipitation hardening stainless steel that provides high strength and hardness, excellent fatigue properties, good corrosion resistance, good formability, and mini- mum distortion upon heat treatment. The alloy provides valuable property combinations particularly well suited for aerospace applications. This special alloy also provides benefits for other applications requiring high strength and good corrosion resistance, as well as excellent properties for flat springs at temperatures up to 600°F (316°C). 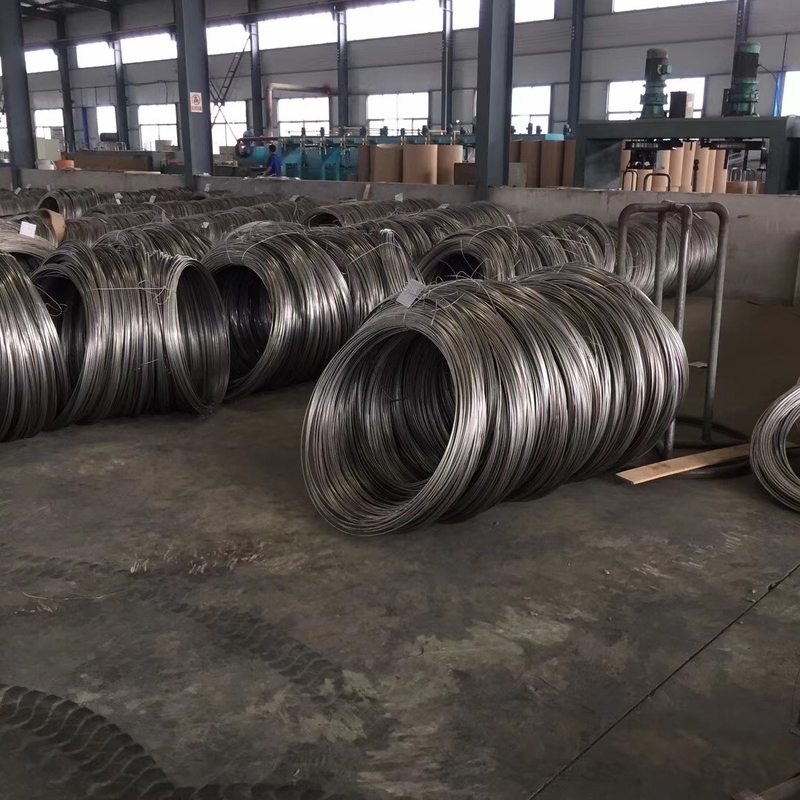 AISI type 303 stainless steel wire is the most readily machinable of all the austenitic grades of stainless steel. The machinable nature is due to the presence of sulphur in the steels composition. slight lowering of the toughness. The corrosion resistance of 303 is lower than that of 304. Type 303 is most commonly used in nuts, bolts, screws, gears, aircraft fittings, and bushings. AISI Type 410 stainless steel is a martensitic (high-strength iron/chromium). Type 410 is wear-resistant, but less corrosion-resistant than many other types. AISI Type 416 stainless steel wire is easily machinable due to additional sulfur. Type 416 stainless is an electric furnace processed, magnetic, free-machining grade of the martensitic stainless steels. It is a modification of Type 410 with approximately .30% sulfur added for excellent machinability. Like Type 410, it has an exceptionally wide range of mechanical properties obtainable through heat treating, This grade of stainless steel has the highest machinability of all grades now developed, and can often be used in the "as machined" condition without heat treatment. Because of its excellent machinability, corrosion resistance, and high strength. nuts and bolts; pump parts; screw machine parts; and etc. AISI type 420 stainless steel wire has fair-to-good corrosion resistance and good material strength. Type 420 resists corrosion from alcohol, ammonia, food environments, fresh water, many petroleum products and organic materials and some mild acid environments. They are found in bearings, valves, lighters and writing instruments. AISI type 430 stainless steel wire provides fair to-good corrosion resistance. many petroleum products and organic material. Applications include balls in cosmetics agitators such as nail polish and eyeliners, as dispenser pump balls and valve balls.